Flaunt those feminine curves this party season and strut your stuff in style! This stunning bodycon beauty, with its statement neckline is a sure fire party piece. 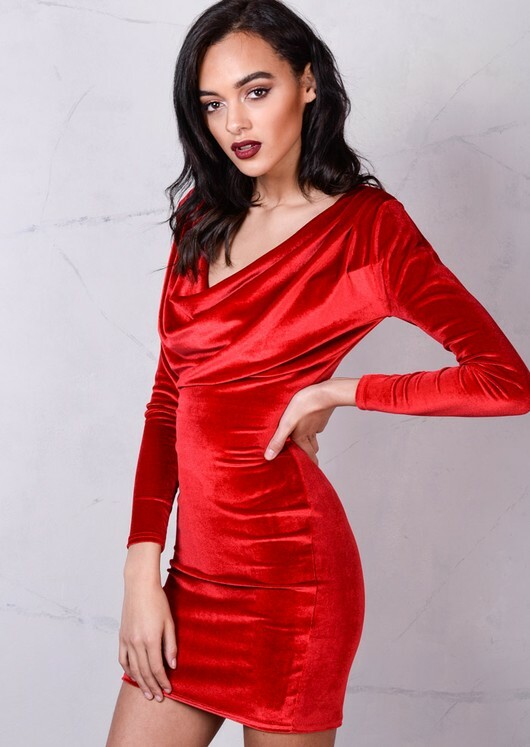 Features: soft velvet, cowl neck, full sleeves, and bodycon fit.